After admiring the beauties of Paris, do you want to bring gifts back to your loved ones, but have no idea what would make them happy? Making your choice in stunning Parisian shops full of beautiful objects can be a difficult task. We make things easier by giving you 10 ideas to take back in your suitcase. Easier to carry than a traditional baguette or a pain au chocolat, macaroons are an ideal gift for a friend with a sweet tooth. 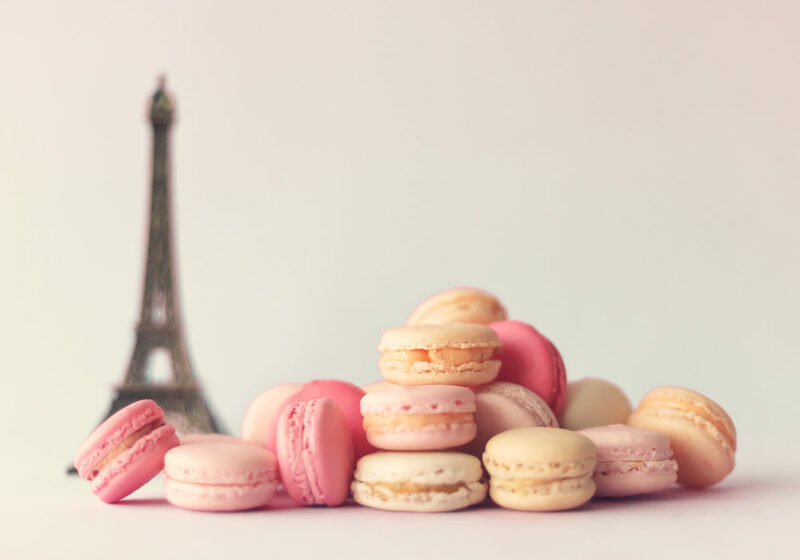 Among the most famous brands of macaroons in the French capital, Ladurée and Pierre Hermé are a sure bet. The banks of the Seine are renowned for their antique shops selling books of all kinds. A gift that will delight friends who love unique and vintage items. This international French symbol is a great gift idea. Original and easy to wear, it’s available to everyone. From sweet to subtle, floral or enchanting, perfume takes every shape and form in Paris. Make the most of your trip and slip a bottle into your luggage. If you can afford it, make the most of the various jewellery stores in Paris to find a lovely sparkly bracelet or necklace. In the lower price range, Eiffel Tower shaped key rings are probably the best memory to take back. You’ll find them everywhere, and the price will allow you to shower your loved ones with this little show of affection. Let the local merchants guide you by recommending which wine or champagne to take back. Finding good wine isn’t usually too tricky in Paris! If you’re not afraid of the smell in your suitcase, and you’re not flying home, taking cheese back for your friends and for yourself can extend the trip a little while longer. Another good idea for smaller budgets, this small souvenir will decorate your loved ones’ fridge who will think of you every time they enter the kitchen. These sturdy little cloth bags are all the rage everywhere. Perfect for shopping or out on a stroll, you’ll find different versions with inscriptions in French or with beautiful drawings of the capital. At Aloha, our agents give you advice and tips to prepare your trip to Paris. Feel free to contact them!